On Friday, March 8th at approximately 5:30 am, deputies from the Specialized Enforcement Division received information that Mario Tafoya was at a residence in San Bernardino. Deputies surrounded the location and Tafoya was taken into custody without incident. Tafoya will be transported to West Valley Detention Center and booked for the escape. On Thursday, March 7th at approximately 3:22 pm, inmate, Mario Tafoya, escaped from the West Valley Detention Center (WVDC) and was last seen running in a north-east direction in the area of Etiwanda Avenue and 6th Street. Deputies from WVDC and the Rancho Cucamonga Police Department immediately began a search of the area. Additional deputies from the Specialized Enforcement Division, Specialized Investigations Division, Sheriff’s Aviation and K9 Units are assisting in the search. Detectives responded to WVDC and are leading the investigation. Tafoya was arrested on January 31, 2019, for PC 245 Assault with a Deadly Weapon and VC2800.2 Evading Police/Disregard for Public Safety. 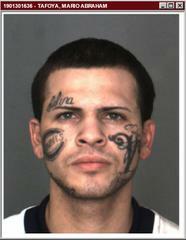 Tafoya is known to frequent the area of San Bernardino, Redlands and Highland. Tafoya is considered dangerous, and members of the public should not contact him. Anyone with information regarding the whereabouts of Tafoya is asked to immediately call 911.